The Houston Texans head to Bank of America Stadium to play the Carolina Panthers on Wednesday, August 9, 2017. The opening line for this matchup has Carolina as 3 point favorites. The total has been set at 37. The Texans were 7-10-1 against the spread last season and their over/under record was 8-10-0. 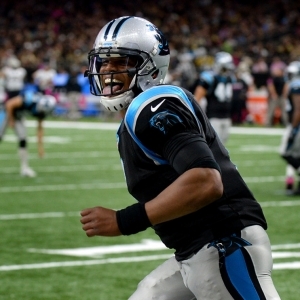 The Panthers were 6-9-1 against the spread and their over/under mark was 7-8-1. The Houston Texans were 28th in the National Football League in points scored with 279 last year. They ran 1,071 plays for 5,035 yards, which ranked them 29th in the NFL in total offense. The Texans averaged 4.7 yards per play, which was 31st in the league. As a team they accumulated a total of 305 1st downs last season, ranking them 23rd overall as an offensive unit. On the ground Houston ran for 1,859 yards as a unit, which ranked 8th in the league. They ran 456 times, averaging 4.1 yards per rush as a unit. The Texans were penalized on offense 87 times for 868 yards last year, which had them 32nd in the NFL in penalties. Tom Savage passed for 461 yards last year. He completed 46 throws while attempting 73 passes for a completion percentage of 63.0%. His quarterback rating last season was 80.9 and his QBR was 63.1. He averaged 10.0 yards per completion and 6.3 yards per pass attempt. Houston was 11th in the NFL in points surrendered on defense last year with 328. They gave up a total of 4,821 yards on D, which was 1st in the league. The Texans were 5th in yards per play allowed with 5.1. Their pass defense allowed 5.8 net yards per pass attempt, ranking them 4th in the National Football League. Opponent offenses completed 319 throws on 522 attempts against the Houston Texans defense last season, ranking them 3rd and 3rd in the league. The Houston pass defense also surrendered a total of 3,226 yards in the air, which was 2nd overall in total pass defense. Their rushing defense gave up 397 attempts for 1,595 yards last season, putting them in 12th place in the NFL against the run. The Texans had 114 penalties for 949 yards on defense last year. That placed them 20th in the league. They allowed a score on 31.7% of possessions on defense, which was 7th in the NFL. The Carolina Panthers ran for 1,814 yards as a team last year, which ranked 10th in the NFL. They ran 453 times, averaging 4 yards per carry as a rushing unit. The Panthers were penalized on offense 98 times for 835 yards last season, which had them 26th in the league in penalties. They were 15th in the NFL in points scored with 369. They ran 1,052 plays last season for 5,499 yards, which ranked them 19th in the league in total offense. The Panthers averaged 5.2 yards per play, which was 24th in the National Football League. As a team they accumulated a total of 318 1st downs last year, placing them 20th overall as an offensive unit. The Panthers rush defense allowed 376 attempts for 1,465 yards last year, putting them in 6th place in the league against the run. Carolina committed 112 penalties for 907 yards on the defensive side of the ball last season. That ranked them 12th in the NFL. They gave up a score on 36.2% of possessions on defense, which was 19th in the league. They were 26th in the league in points allowed on defense with 402. They surrendered a total of 5,756 yards on D, which was 21st in the NFL. The Panthers were ranked 23rd in yards per play allowed with 5.6. Their pass defense gave up 6.5 net yards per pass attempt, placing them 22nd in the league as a unit. Opposing offenses completed 409 passes on 612 attempts against the Carolina defense last season, placing them 30th and 28th in the National Football League. The Carolina Panthers pass defense also gave up a total of 4,291 yards through the air, which was 29th overall in total pass defense. Who will win tonight's Texans/Panthers NFL game against the spread?